On-Site Product Training Seminars | Florida Wire & Rigging Supply, Inc.
At Florida Wire & Rigging, we understand that your job is inherently dangerous, whether you work with rigging supplies on a construction site, in a warehouse, in a theater, or at an adventure park. Proper rigging equipment can help minimize your day-to-day risks, but your safety concern shouldn’t end as soon as you buy top of the line hardware. Just as important as having the right equipment is knowing how to use it all properly, and ensuring that the rest of your staff does as well. Since safety is our top concern, we conduct on-site product training seminars at Florida Wire & Rigging. We don’t just sell you a piece of equipment and leave you to figure it out. Even the smallest error in using the product could prove disastrous, destroying expensive equipment or harming one of your workers. A responsible rigging supply company knows that education comes hand in hand with selling equipment to make sure the job gets done right, every time. If you don’t see what you are looking for in our store or on our website, talk to one of our representatives about custom-designed equipment. Some jobs require specially designed tools, and we can help you figure out what you need and show you how to use it. 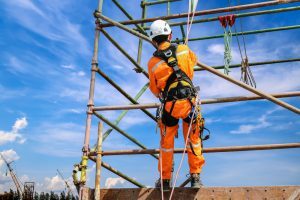 Let us come to your job site to perform inspections on your current slings, chains, and webbing products to make sure everything is up to scratch. We can let you know if the equipment has been used properly as well, and will correct any of your errors. If you encounter any problems, we have a 24/7 emergency phone to serve the most urgent calls at 407-383-1955. Our on-site product training seminars can be the difference between having a tragic accident or not. We will ensure that your whole team understands the proper usage of each piece of equipment you get from us. To schedule your consultation, give us a call on our regular phone line at 800-846-0309.